“It’s an invaluable part of our everyday existence as designers,” says the creative director of David Collins Studio about Design Centre, Chelsea Harbour. Did you notice a camera crew at many of the Access All Areas events? They were on hand to speak to the industry’s top influencers. Tasked to capture the ‘moment’, they film and edit on site offering breaking news and insights from the people who make great design happen. 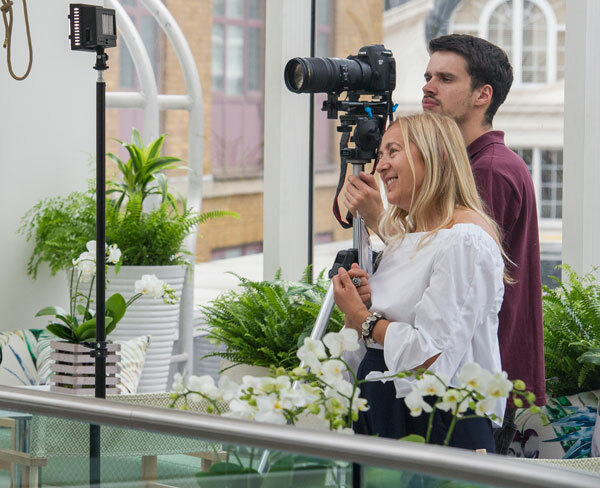 With content so key to social media, these interviews offer unprecedented access as the shows unfold – at London Design Week 2017 nearly 50 interviews were posted during the six-day event, reaching out to an expanding digital audience. See them for yourself in the ‘Right Here, Right Now’ section of the blog. 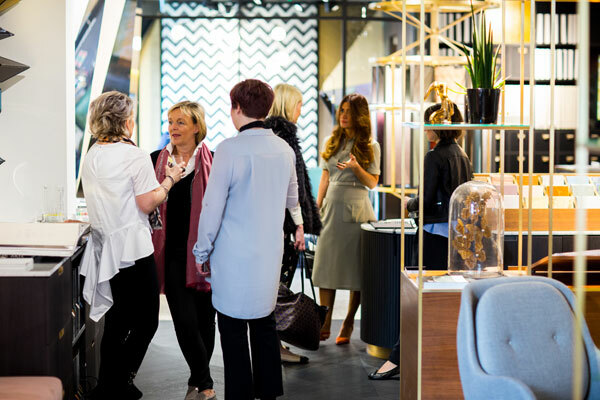 The interior designer says that Design Centre, Chelsea Harbour “is an invaluable resource, because you’re able to see so many different things in one place”. From inspiration to implementation, London Design Week 2017 is packed with opportunities to get the inside track from some of the most creative minds in the industry. Visitors were able to meet design duo A Rum Fellow at Altfield, Tori Murphy at David Seyfried Ltd, Bernie de Le Cuona in her brand new showroom, award-wining rug designer Michaela Schleypen at Front Rugs, ace embroiderer Victoria Bain at J. Robert Scott, design doyenne Nina Campbell in her Design Centre East atelier, Christopher Peacock, Dimonah Iksel and Frans Schrofer at Simpsons. 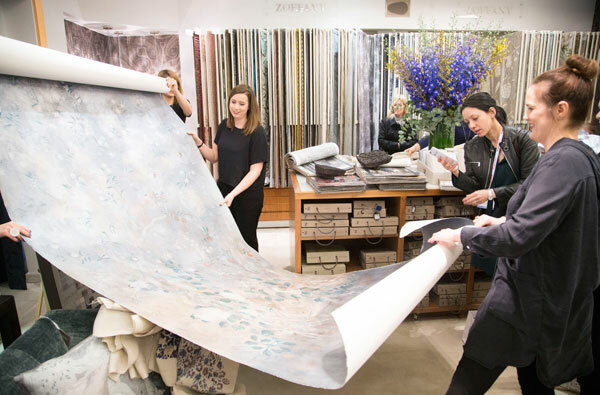 In-house designers from wallpaper and fabric houses also stepped out of the studio to explain how collections came together, from the making of Sanderson’s Art of the Garden to Mark Alexander’s use of linen in its latest collection at Romo. “At the Design Centre, we have the opportunity to meet trade people, but also people for the contract part of our business,” says the owner of Gallotti & Radice. Seeing experimentation and technique up close is always rewarding. In the Jason D’Souza showroom, a demonstration with a skilled artisan showed beautiful creations of a passementiere’s art. The designs by Wendy Cushing were actually inspired by period costumes and interpreted as exquisite embellishments. 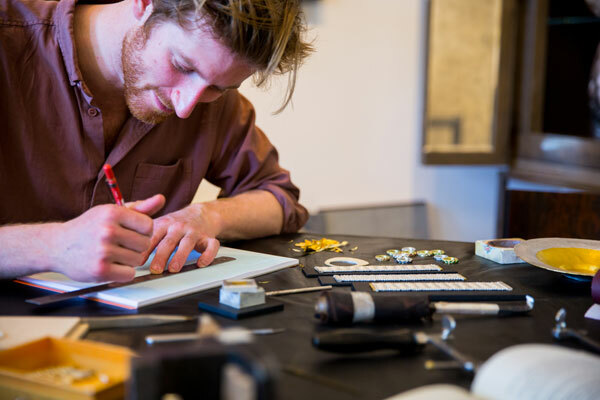 Other highlights included a bed maker at Savoir Beds, a weaver creating twill and herringbone designs on a Harris table loom at Chase Erwin and artist Samuel Waterhouse (pictured) using ancient Korean techniques at Black & Key. 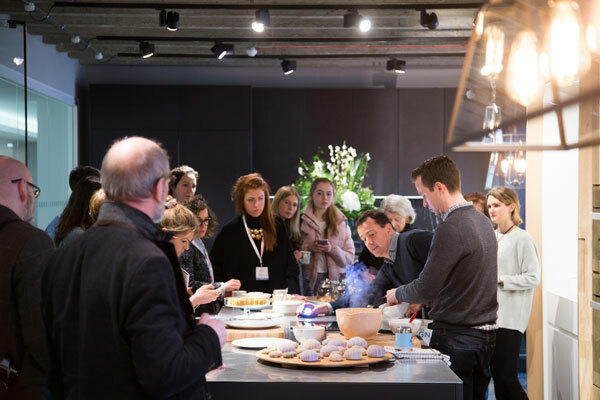 Expert-led guided tours offering privileged access are burgeoning – now Design Centre, Chelsea Harbour is entering the frame. At a sell-out event hosted by ELLE Decoration, deputy editor Ben Spriggs devised a behind-the-scenes tour to some of his favourite showrooms including Colefax and Fowler, Poliform, Front Rugs, Zimmer + Rohde, Turnell & Gigon and GP & J Baker. The Design Centre also led discovery tours throughout London Design Week 2017, introducing visitors to the most talked-about new collections and bespoke installations.